Jaime May 12, 2017 Comments Off! We’ve got a new spin on an old favorite. It seems like everyone is using golf outings to raise money for their organization these days, and for good reason. 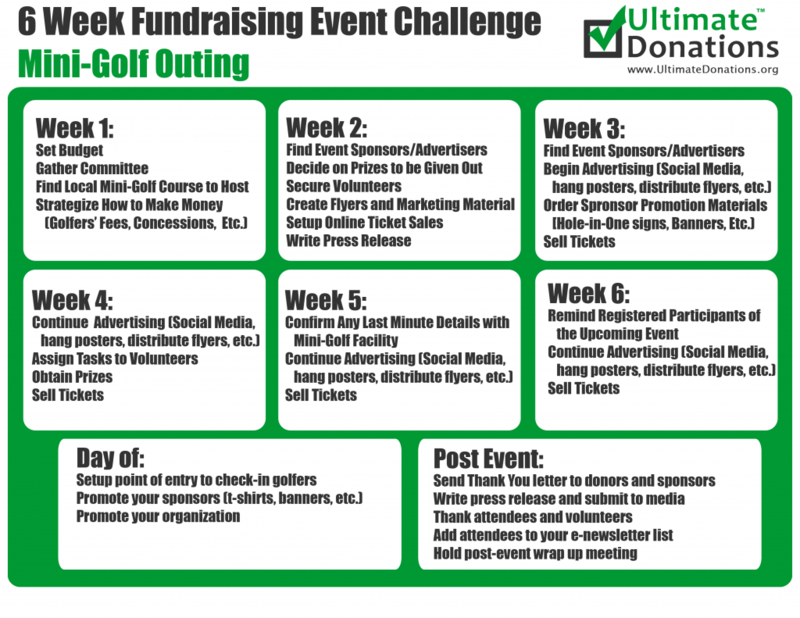 Golf outings can be huge money makers if done correctly, and they offer a low-key way to get donors together in beautiful surroundings. So we’re taking this concept and flipping it on its head for a family-friendly event that is sure to be packed! You’ll need to find a place to host your event. Work with a local mini-golf facility to set a date. You’ll want to negotiate for either a substantially reduced per game fee or, better yet, a flat rate for exclusive use of the establishment. You’ll then set rates for your event. Don’t forget a discount for foursomes, or even a flat-rate family ticket (to accommodate families just under or over 4 people). QUICK TIP! We’ve partnered with Eventbrite.com to make online ticketing a breeze. Sell tickets, manage events and collect payments with ease. Check it out today! Just as with other golf outings, you’ll want to find sponsors and donations. Perhaps sponsors will sponsor a hole with the opportunity for those who get a hole in one to win a prize, or prizes for highest and lowest scores, etc. Or maybe you’ll want to give out a swag bag at your event full of promotional material and free items from your sponsors. Don’t forget to find out if you are allowed to sell concessions, that’s another great money maker! NEED PRIZES? 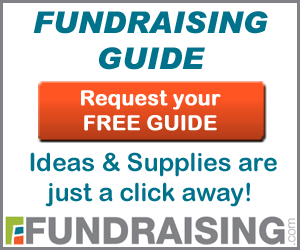 UltimateDonations.org has a list of over 2000 potential donors for you to solicit, whenever it is most convenient for you! Register for free today. Happy soliciting! Ask businesses to donate items or services to use as prizes for lowest score, highest score, best dressed, etc. Ask local businesses to sponsor a hole. Sponsors would get a small sign placed near each mini-golf putting tee acknowledging their contribution. REMINDER: If you decide to hold a raffle, silent auction, or tricky tray you may need to obtain a raffle license from both the town your event is being held in, and the state. Please allow extra time for this. Jaime is the conceptual mastermind behind UltimateDonations.org, a website that helps nonprofits find and request product donations for fundraising events. When she is not helping nonprofit events to reach their fullest potential, she's spending time with her two adorable girls, volunteering within her local community, and sneaking leftover Halloween candy when no one is looking. February 20, 2017 March 27, 2017 Comments Off! April 4, 2016 February 18, 2017 Comments Off! January 10, 2016 February 18, 2017 Comments Off! February 8, 2016 January 20, 2016 Comments Off! 2018’s Hot New Trends for Your Event! © UltimateDonations.org™ all rights reserved. Certain activities, services, and products provided via this website may be covered by U.S. Patents. All trademarks and copyrights on this page are owned by their respective owners. Use of this website, an account, or any services are subject to our Terms & Conditions for Use and Privacy & Security Policy.